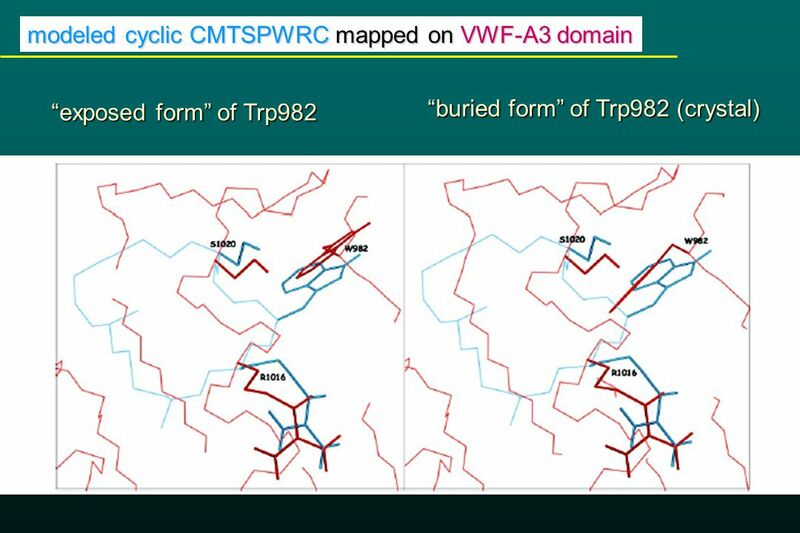 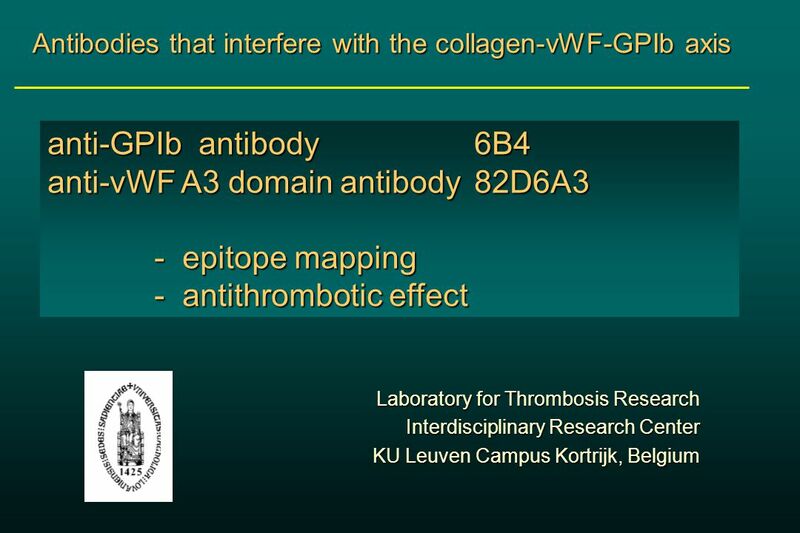 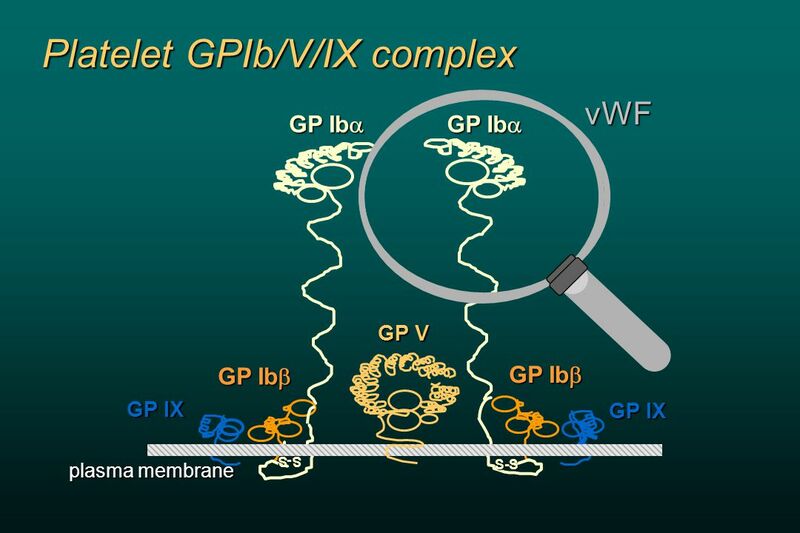 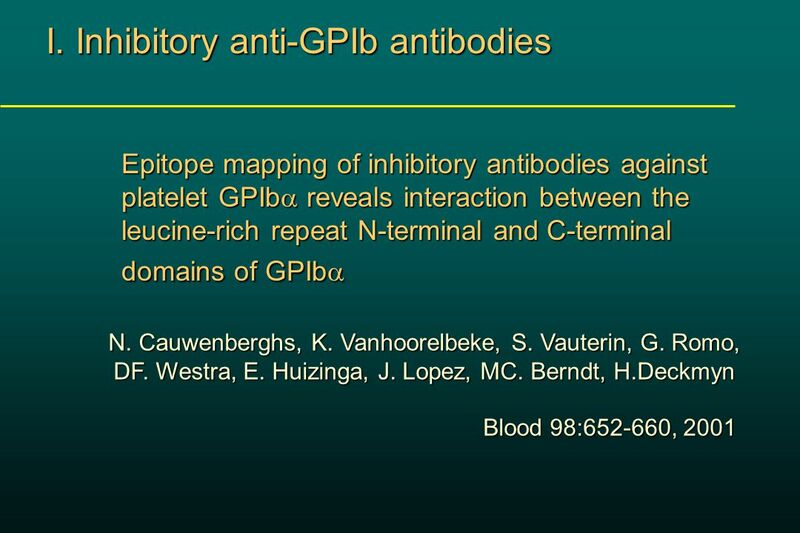 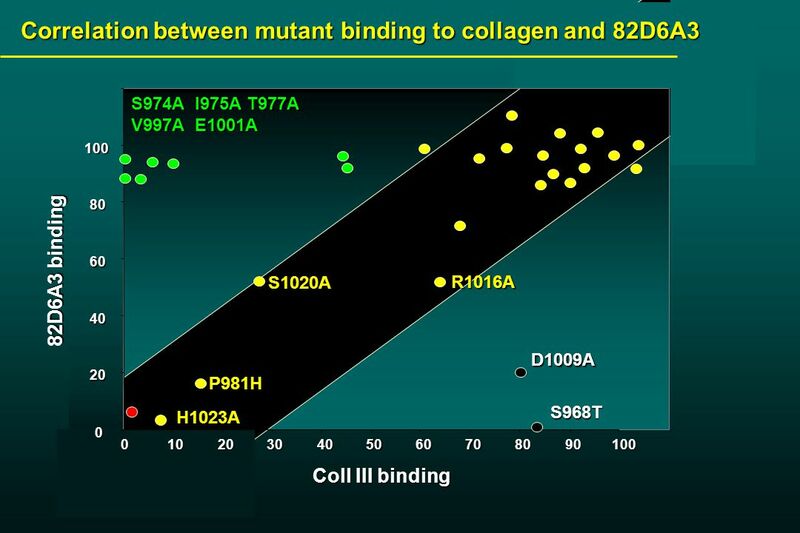 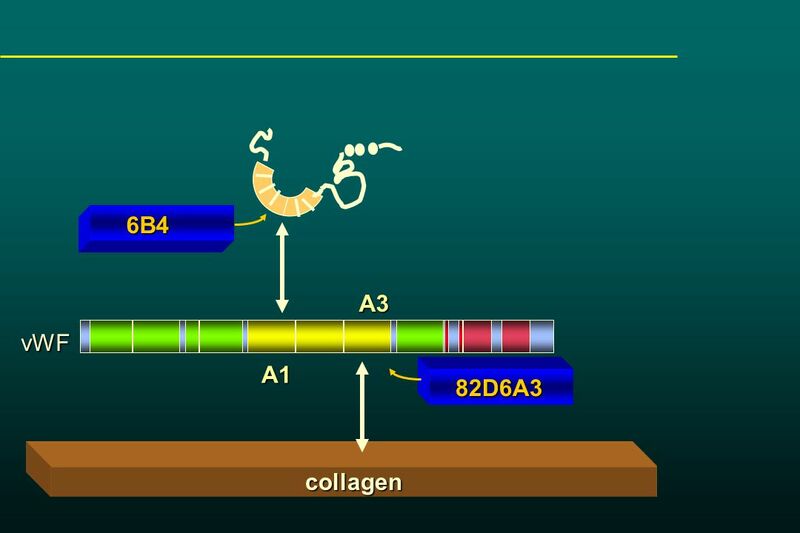 Laboratory for Thrombosis Research Interdisciplinary Research Center KU Leuven Campus Kortrijk, Belgium Antibodies that interfere with the collagen-vWF-GPIb. 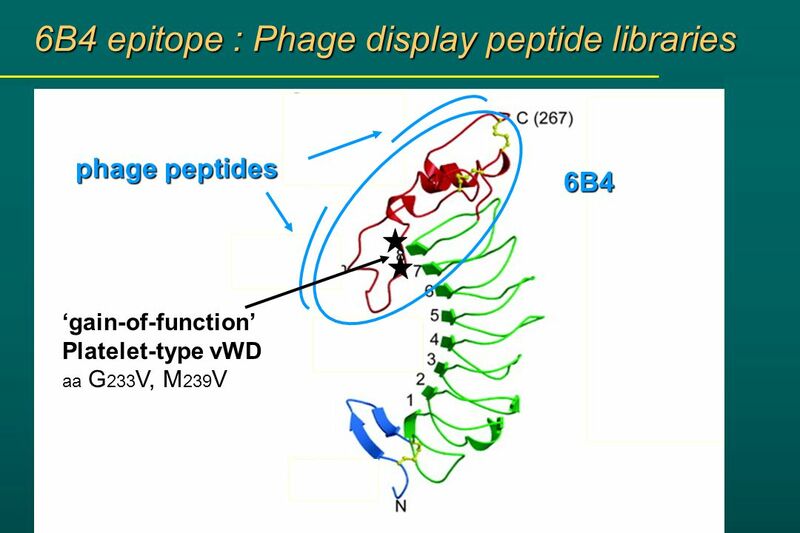 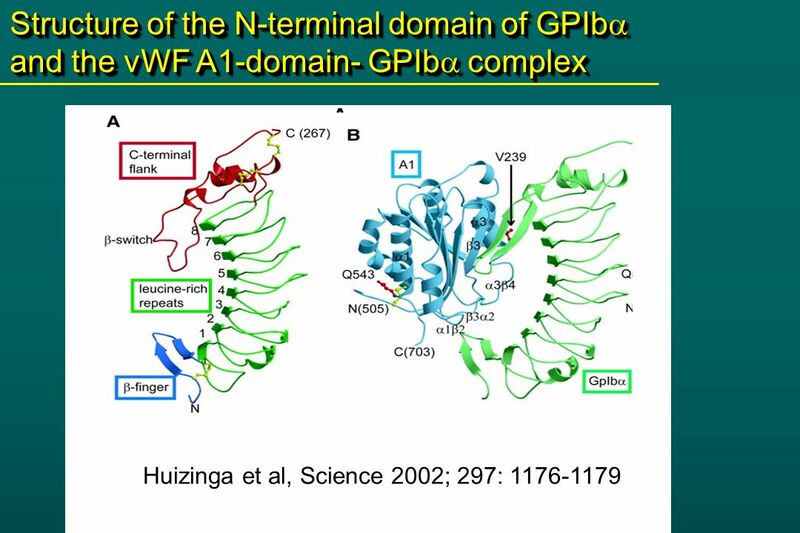 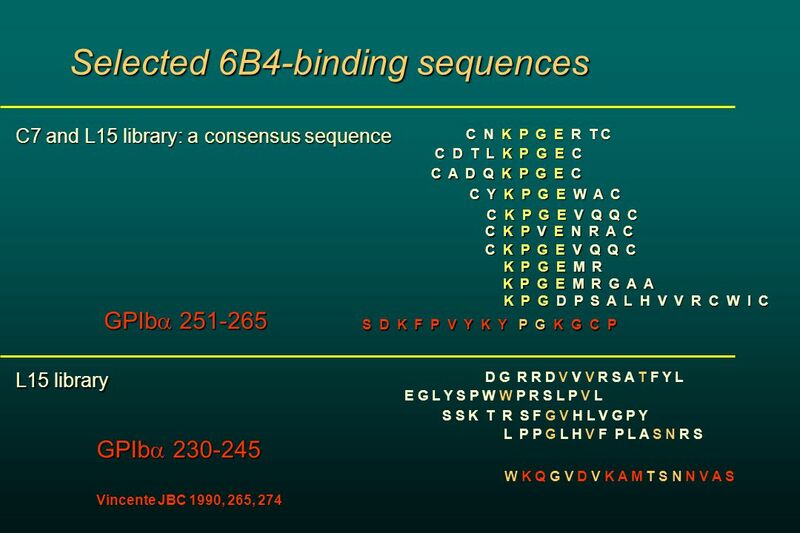 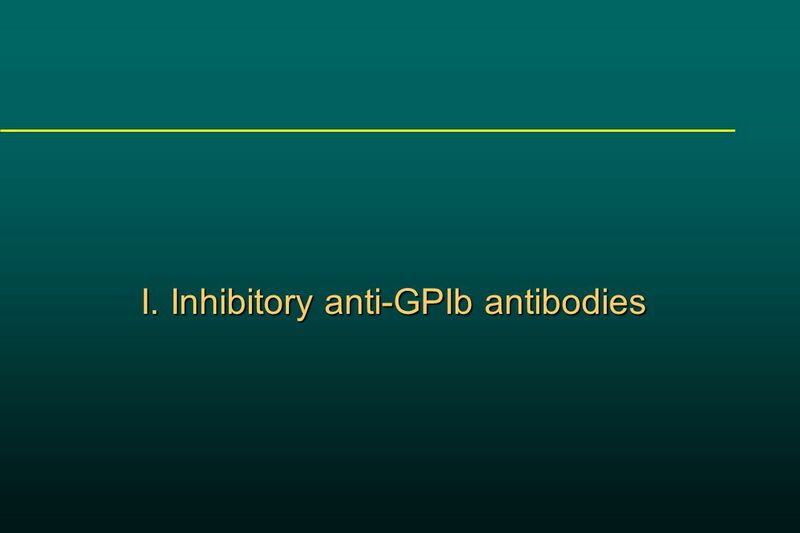 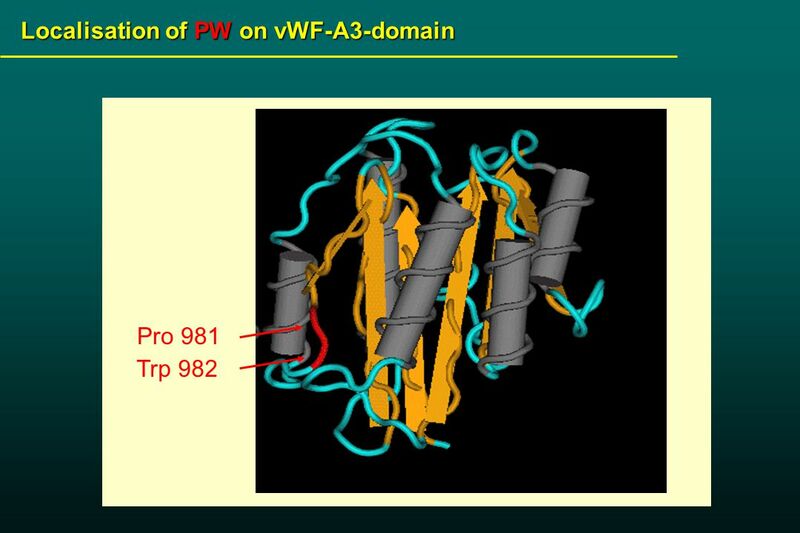 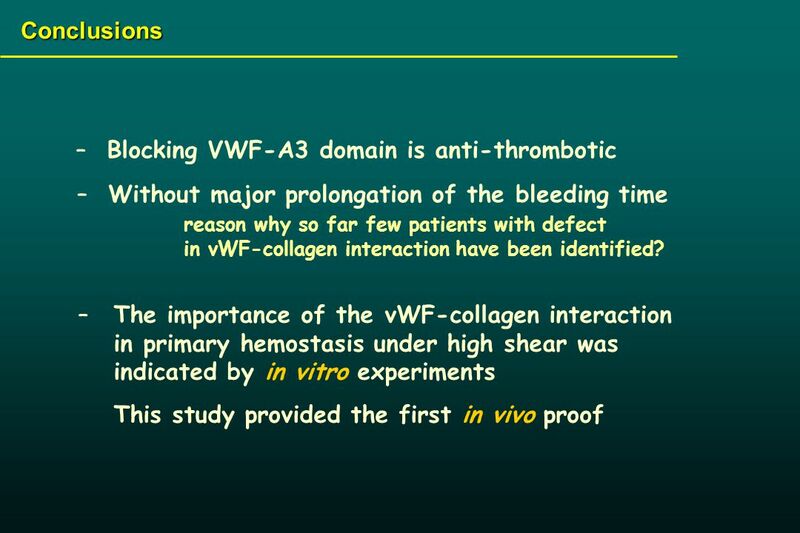 Download ppt "Laboratory for Thrombosis Research Interdisciplinary Research Center KU Leuven Campus Kortrijk, Belgium Antibodies that interfere with the collagen-vWF-GPIb." 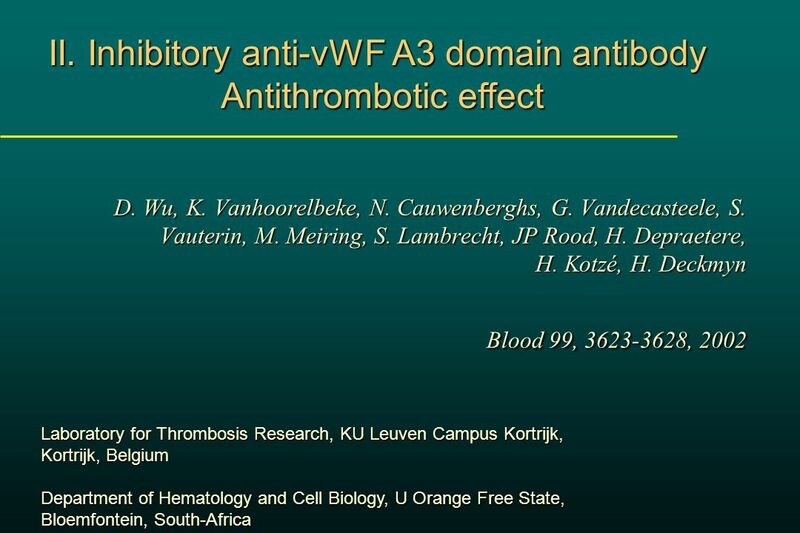 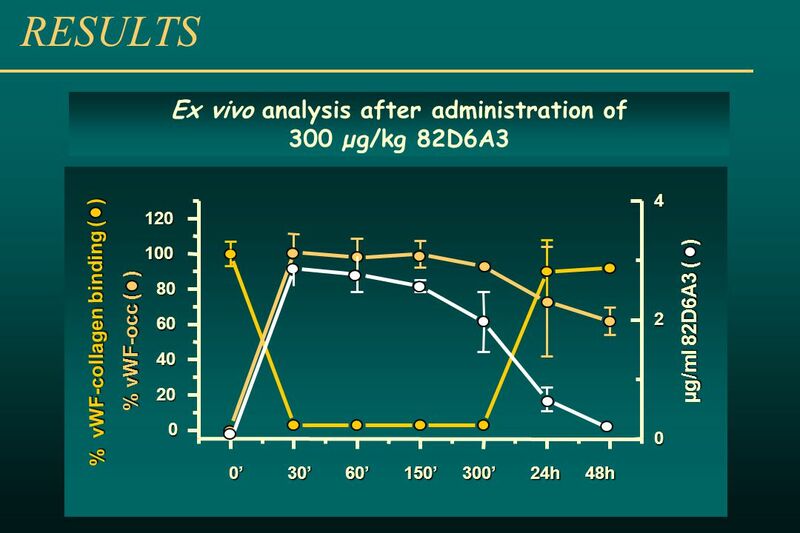 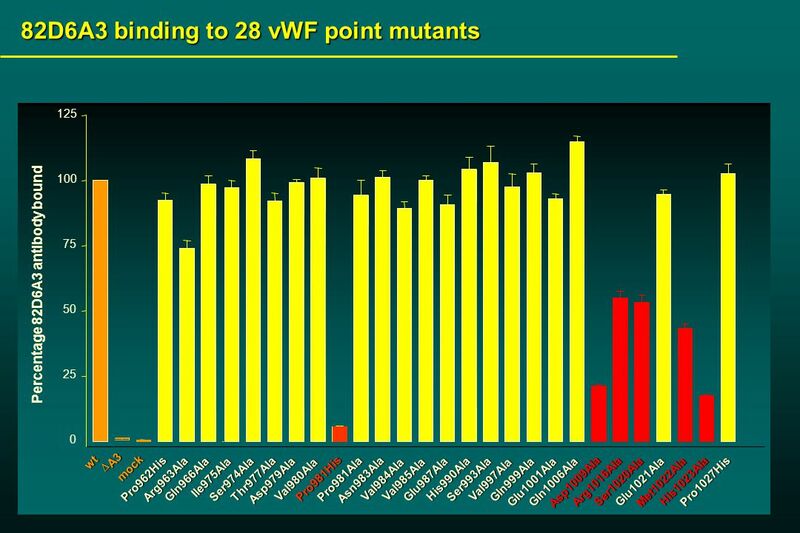 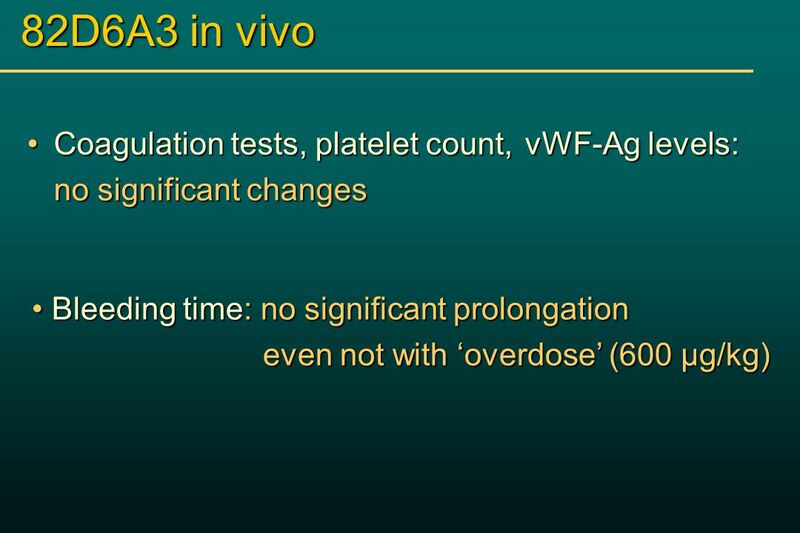 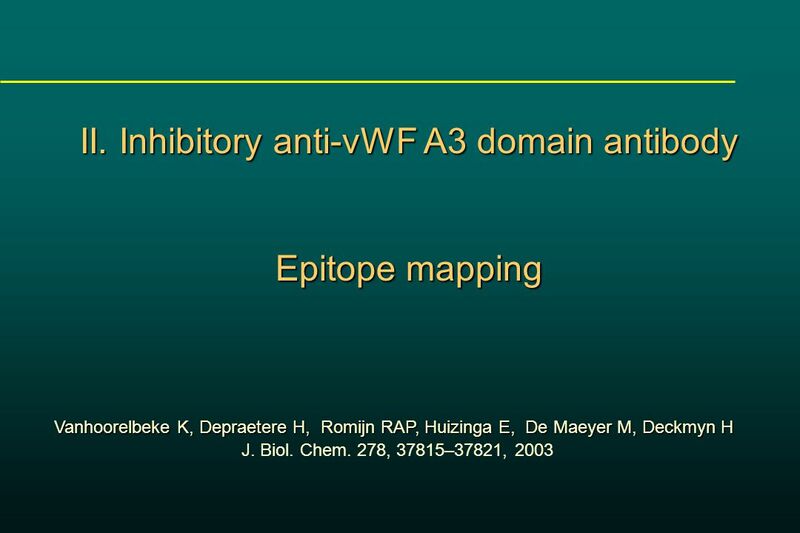 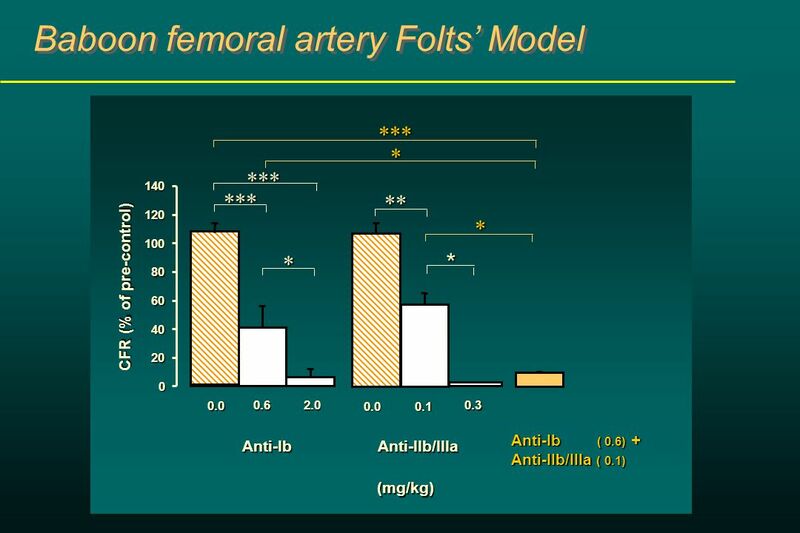 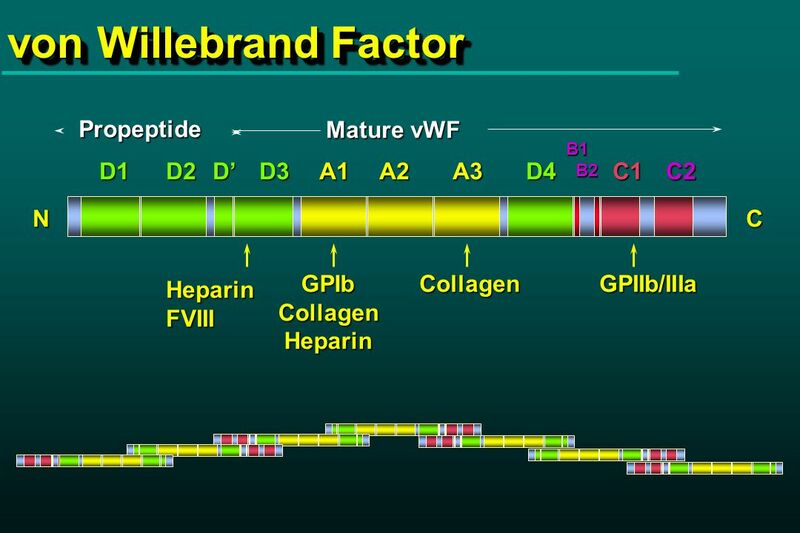 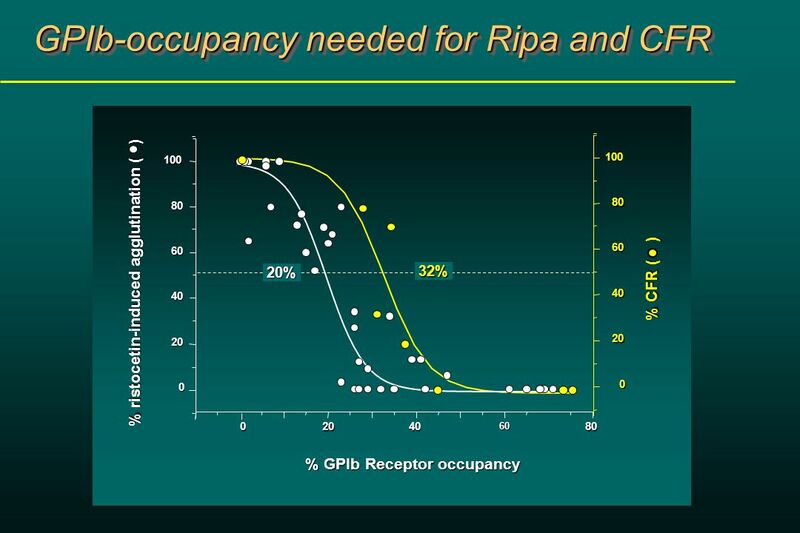 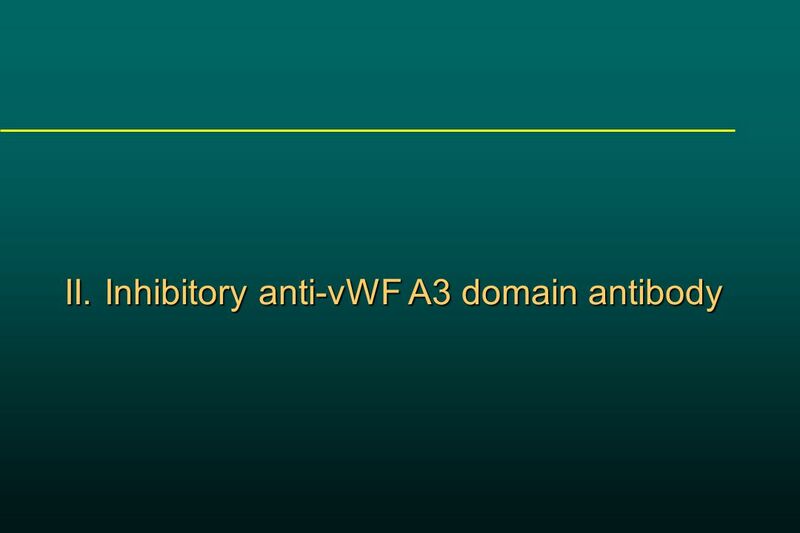 WFH Bangkok 2004 Factor VIII and von Willebrand Factor (VWF) VWF and Inhibitor Antibodies. 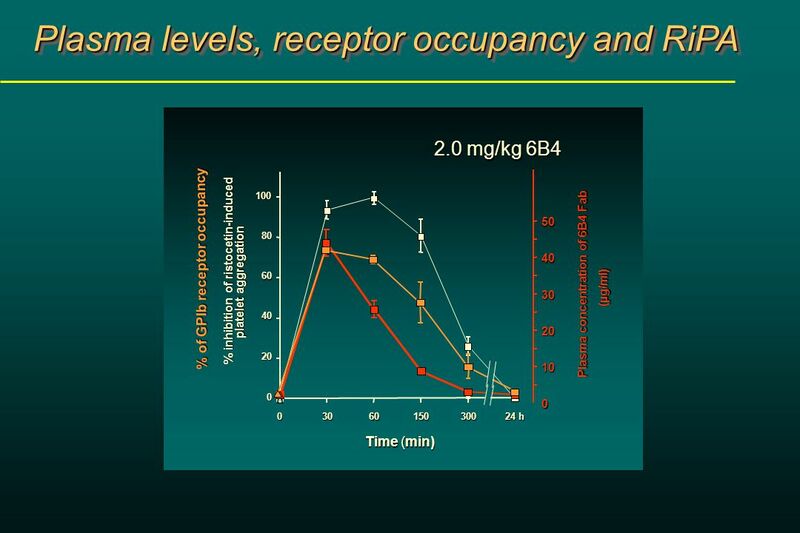 Lactate dehydrogenase + 38 ATP + 2 ATP. 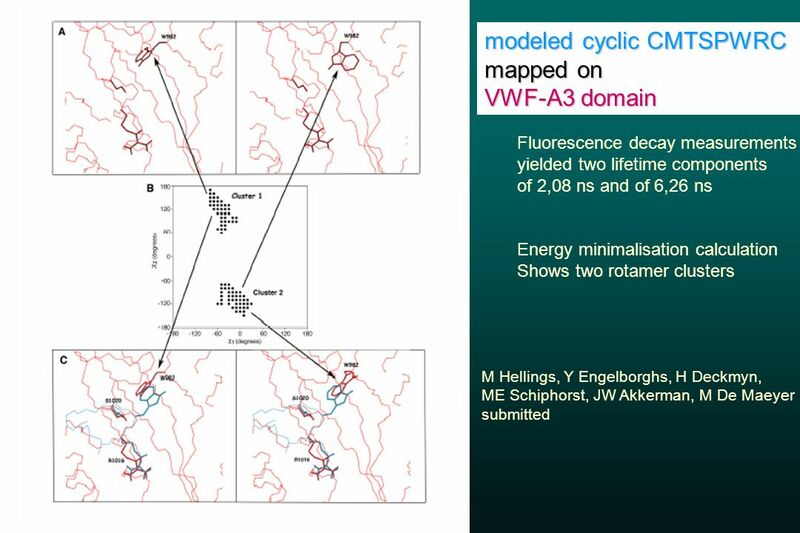 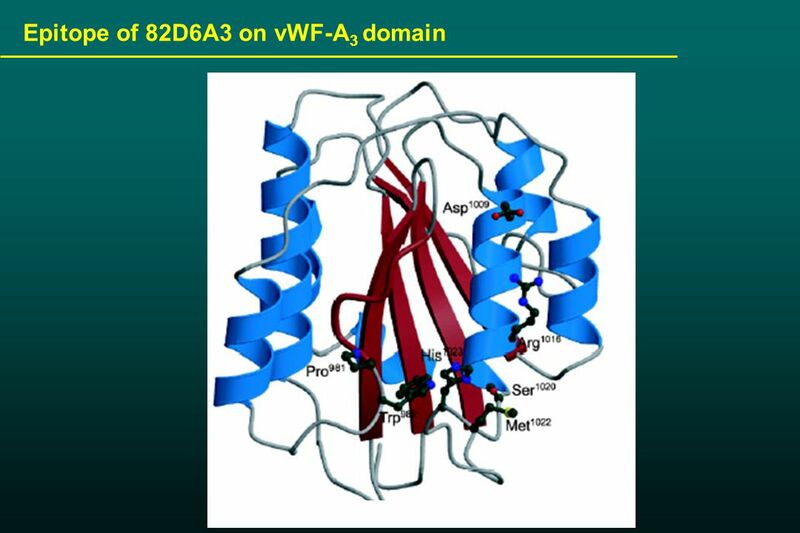 How does lactate dehydrogenase perform its catalytic function ? 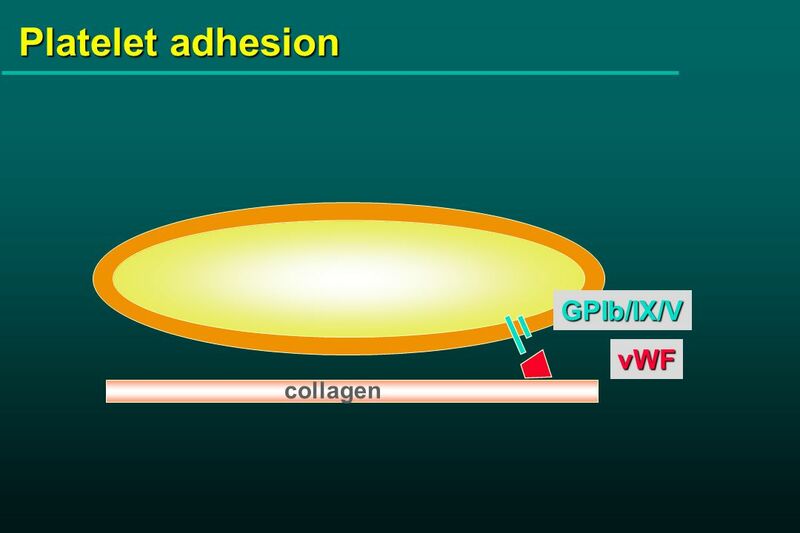 Platelet structure 1 Membrane glycoproteins –IIb-IIIa: integrin, cryptic in resting platelet, after platelet activation binds fibrinogen and other adhesive. 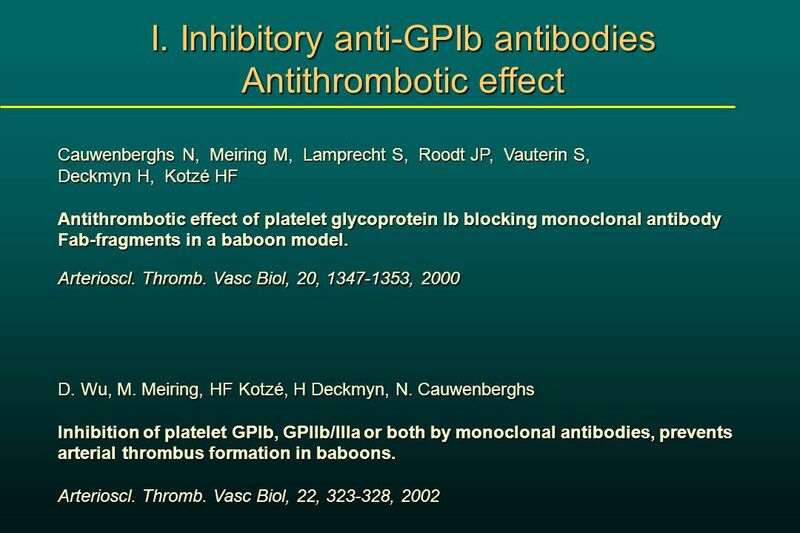 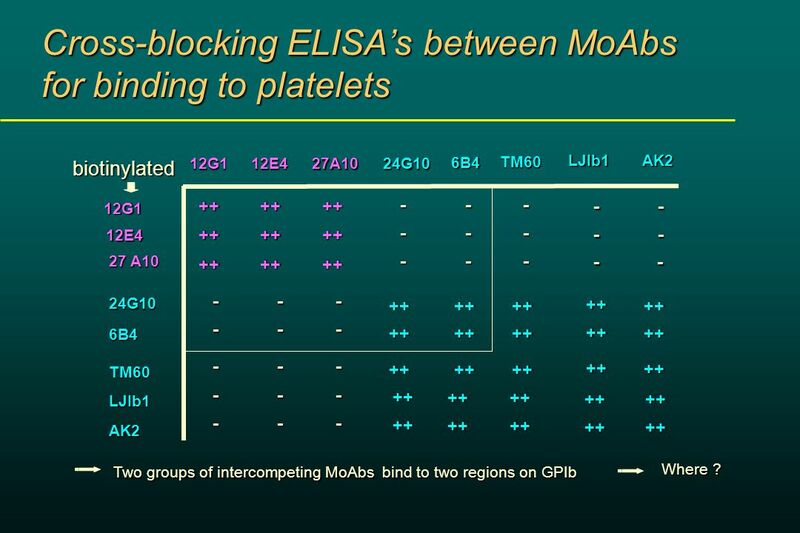 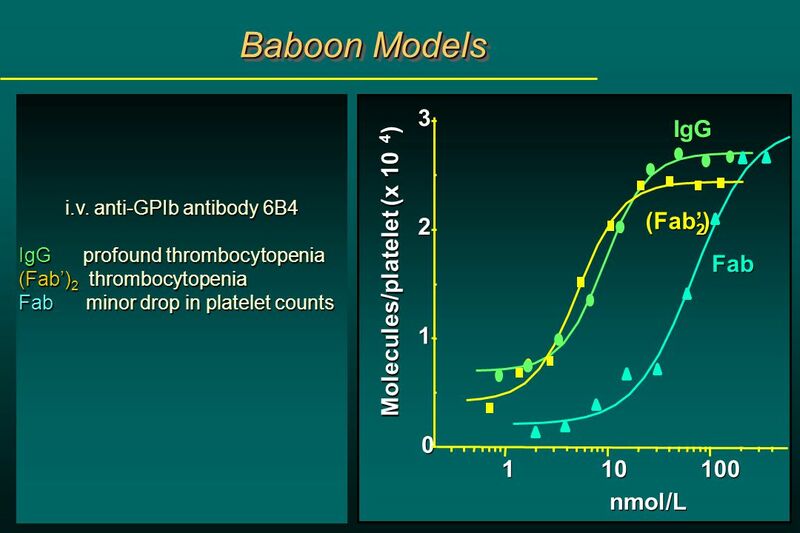 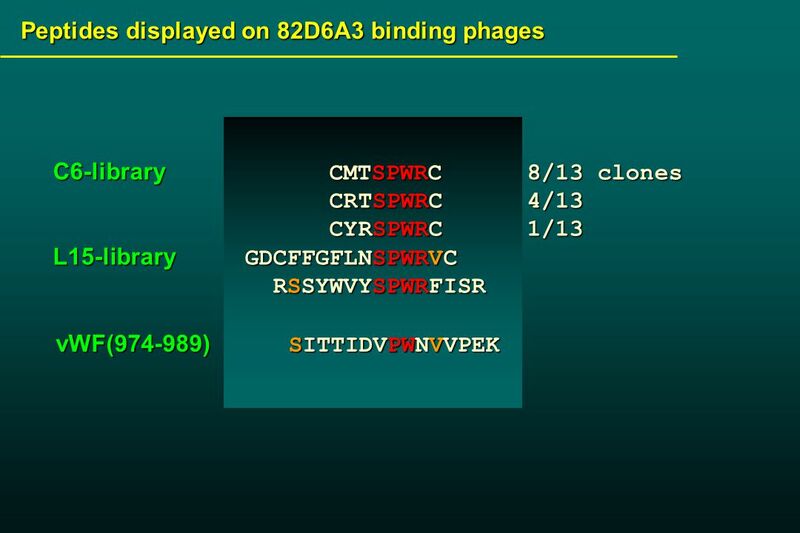 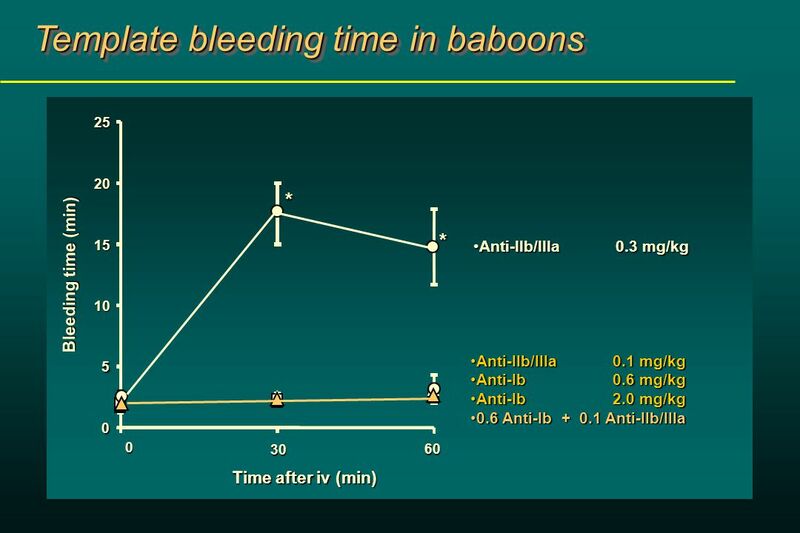 Hemostasis & Thrombosis: Platelet Disorders Beth A. Bouchard BIOC 212: Biochemistry of Human Disease Spring 2005. 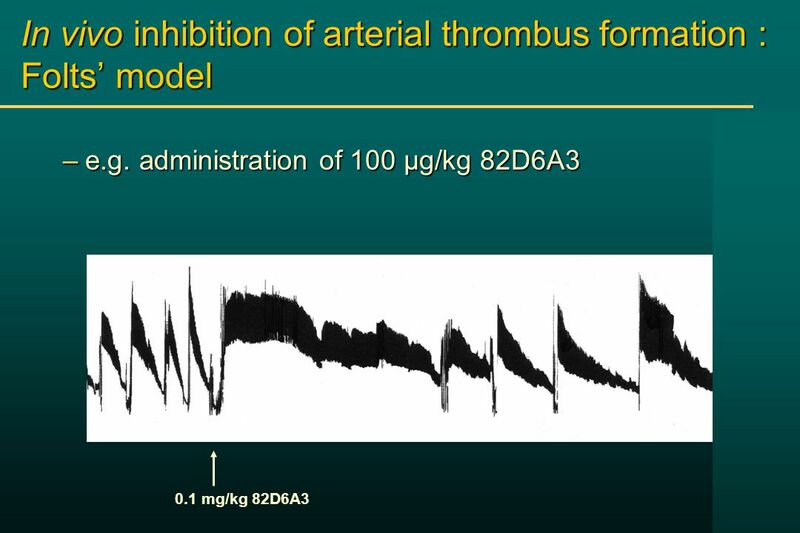 Pathophysiology of Thrombosis Thrombosis and Thrombolysis in Acute Coronary Syndromes. 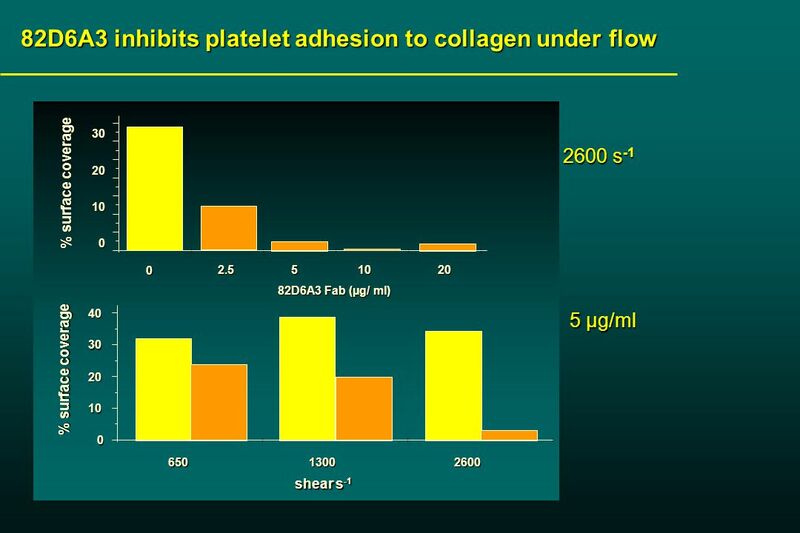 Thrombus Susceptibility and the Vulnerable Plaque Relationship Between Inflammation and Thrombosis. 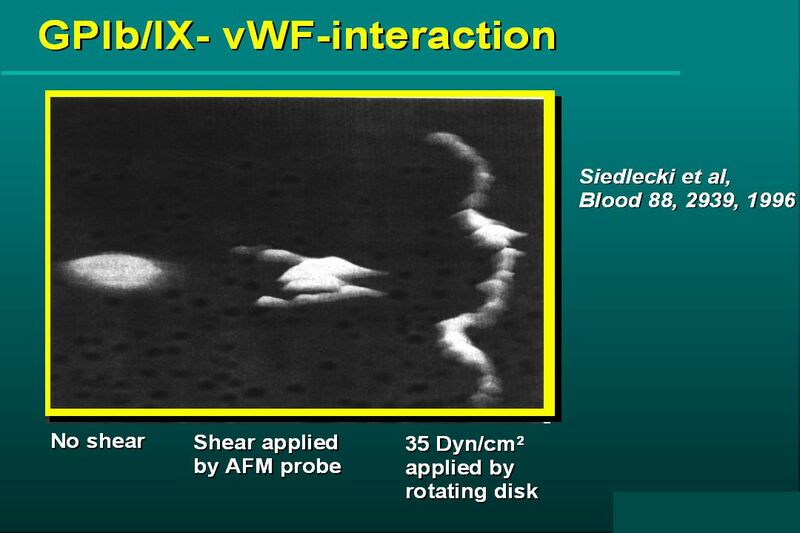 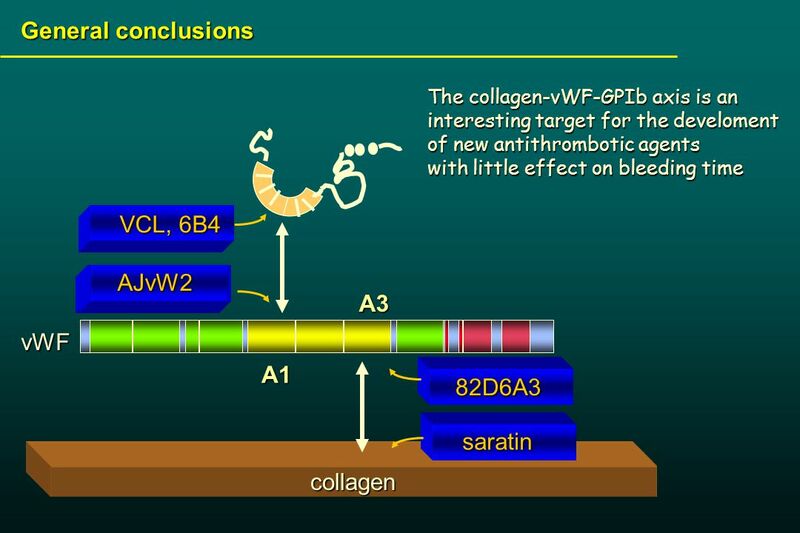 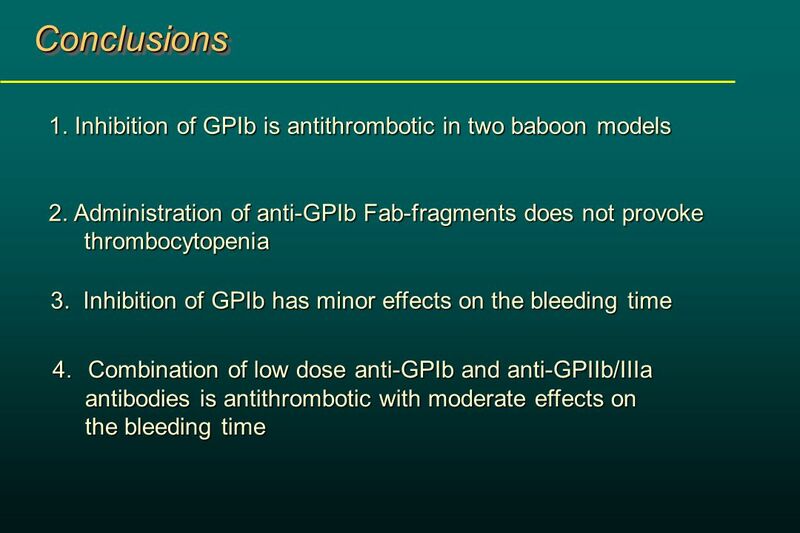 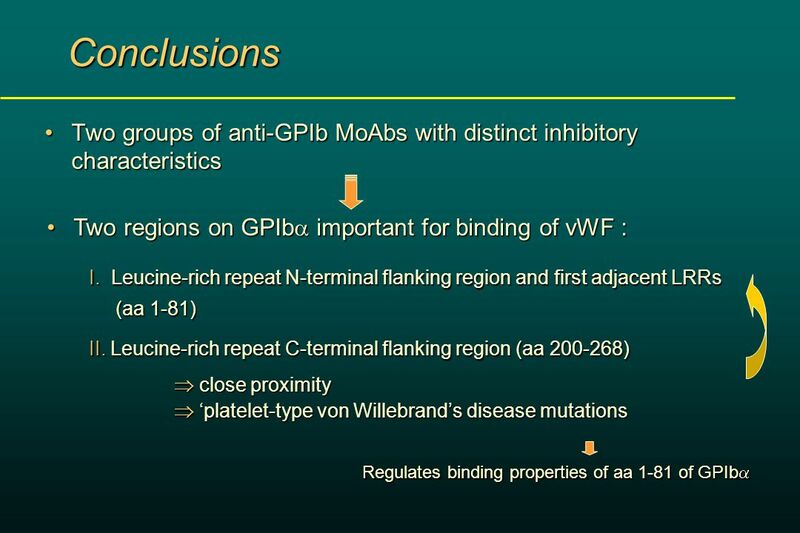 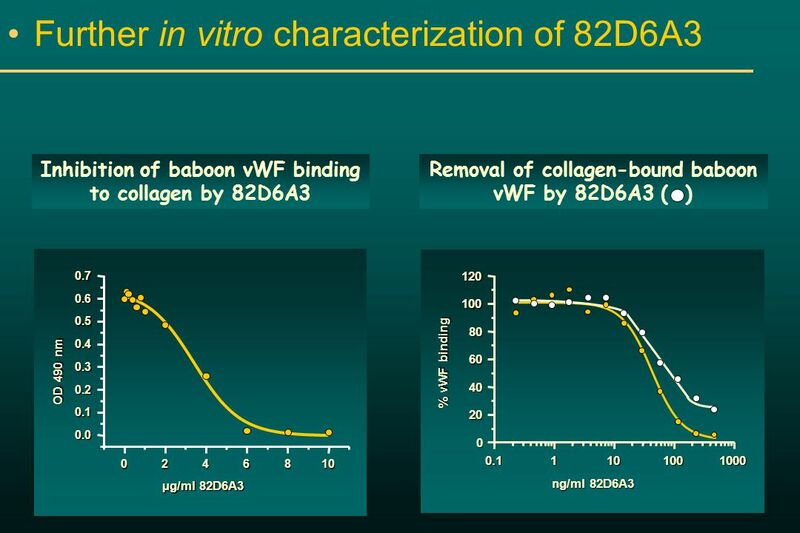 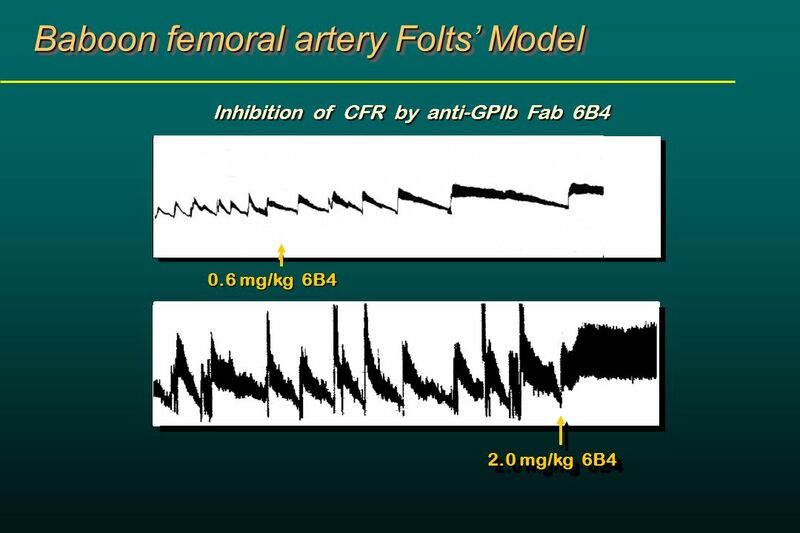 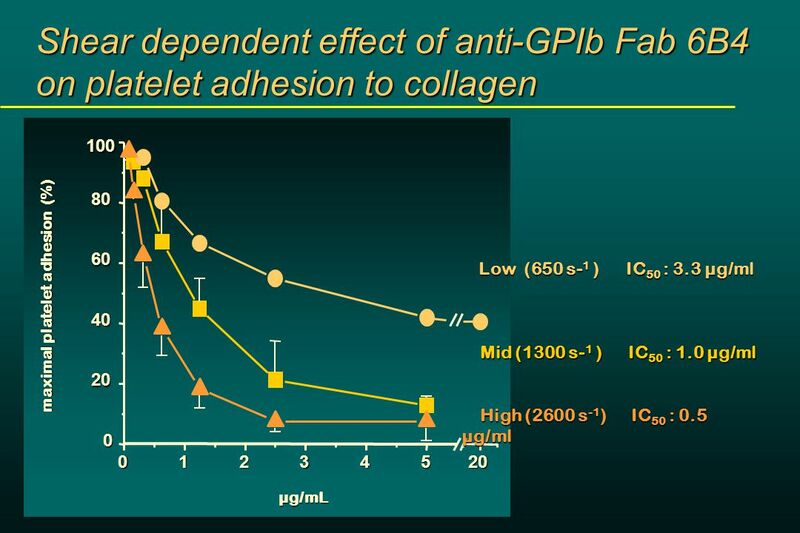 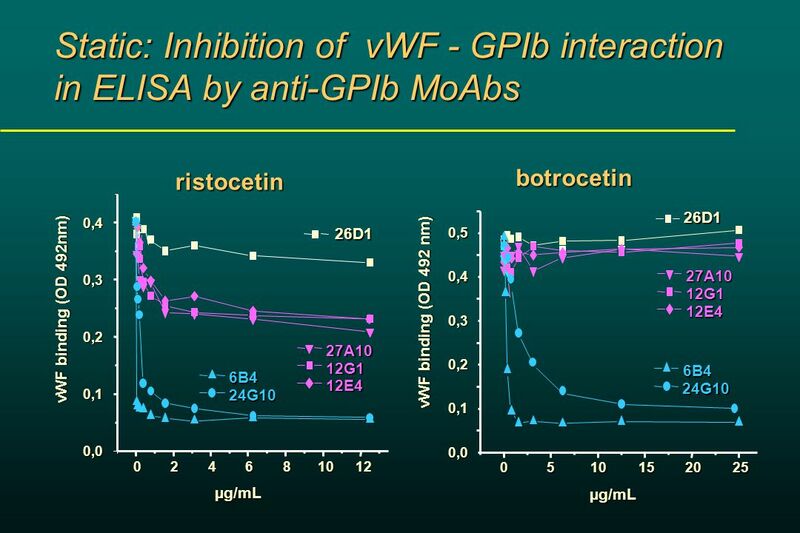 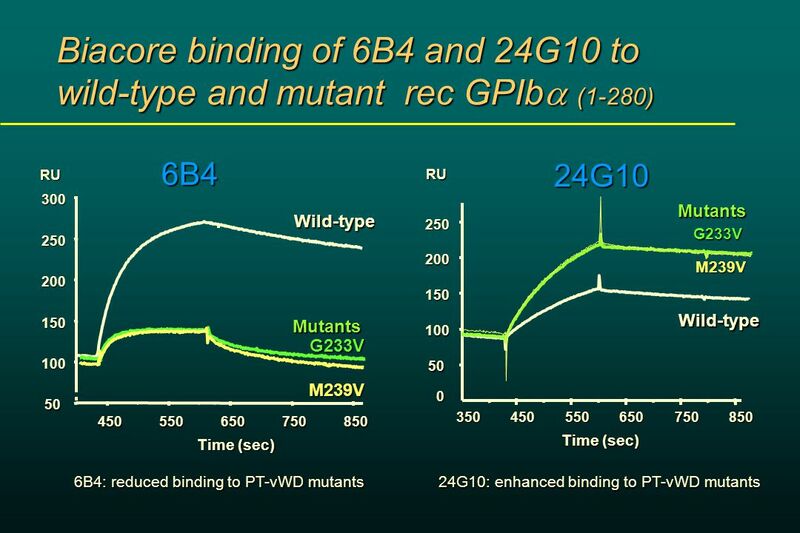 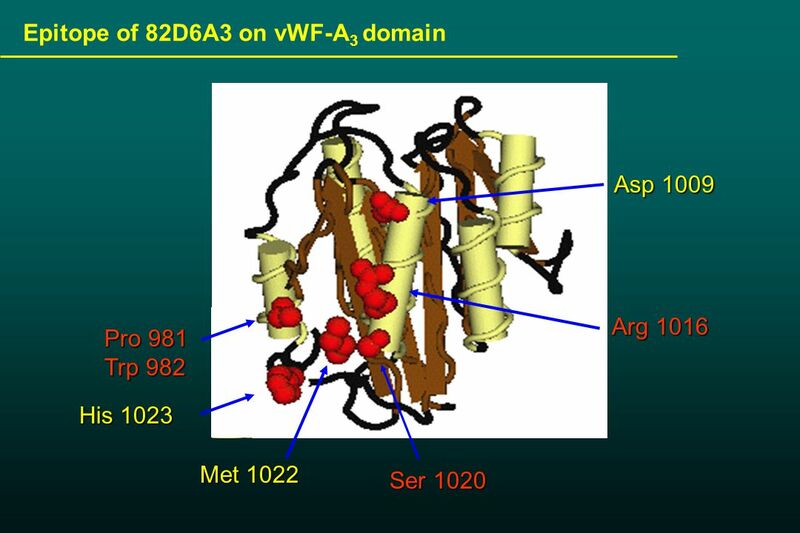 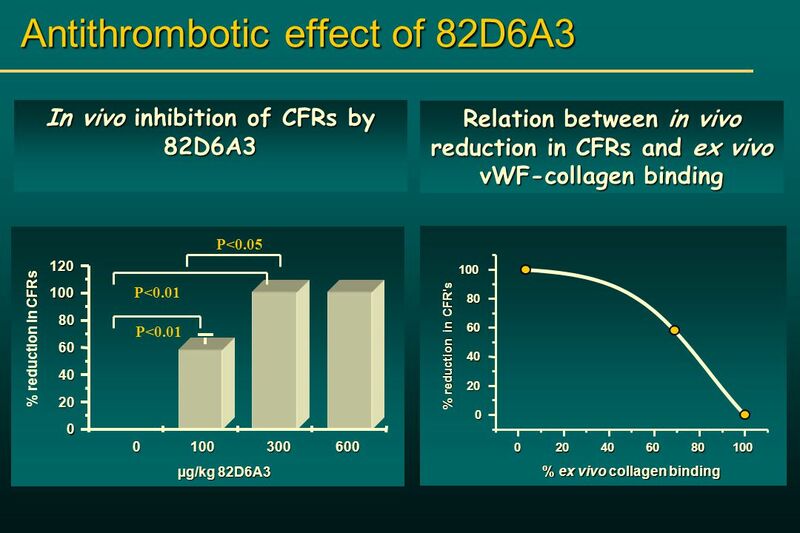 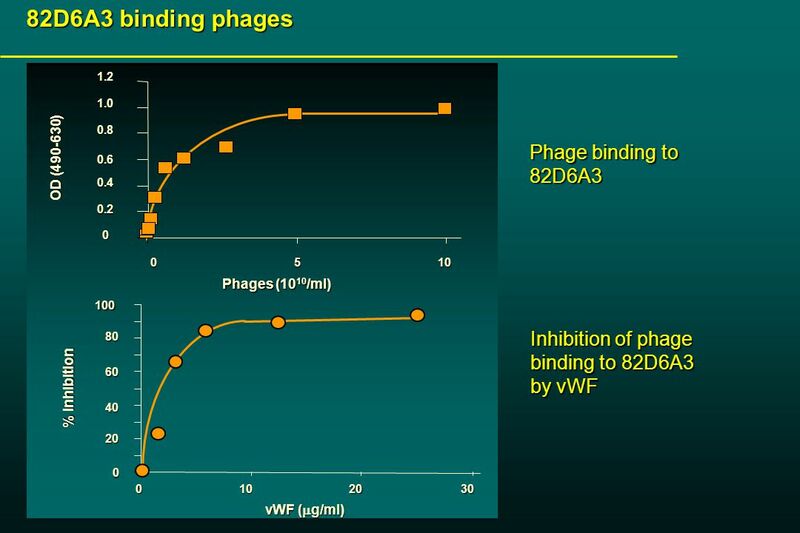 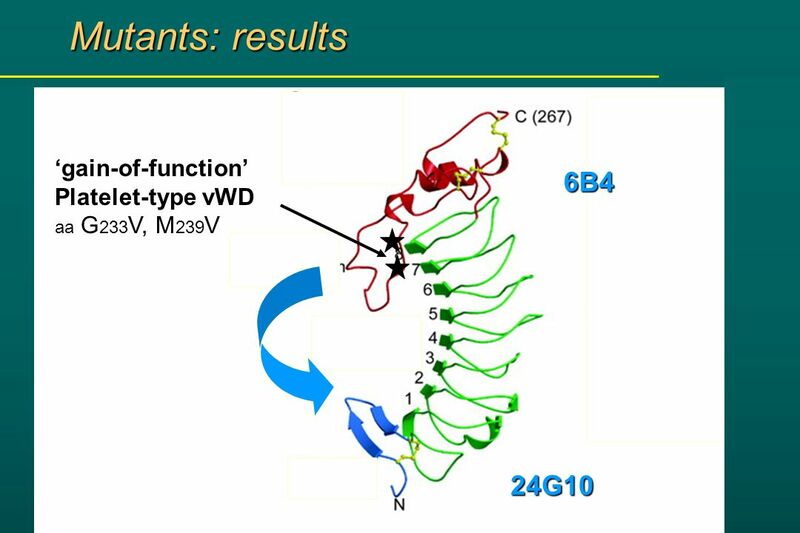 Biomedical R&D Folie (slide) 1 Saratin - mechanism of action vWF Platelet. 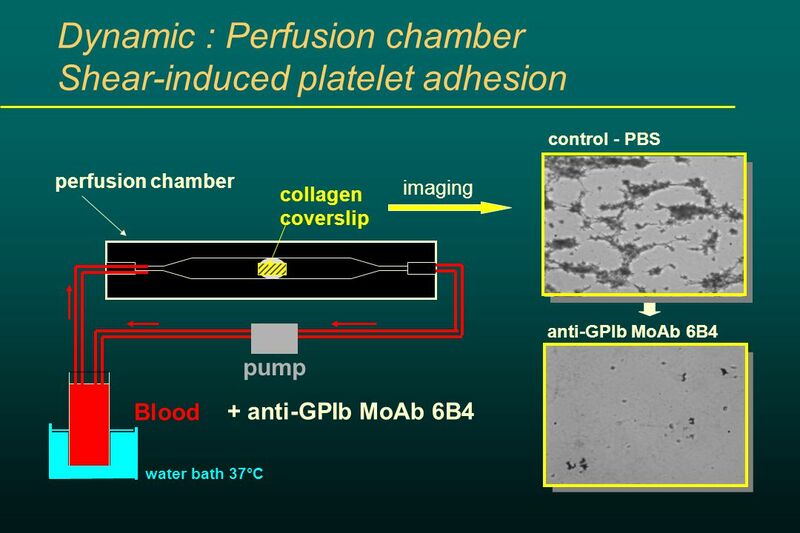 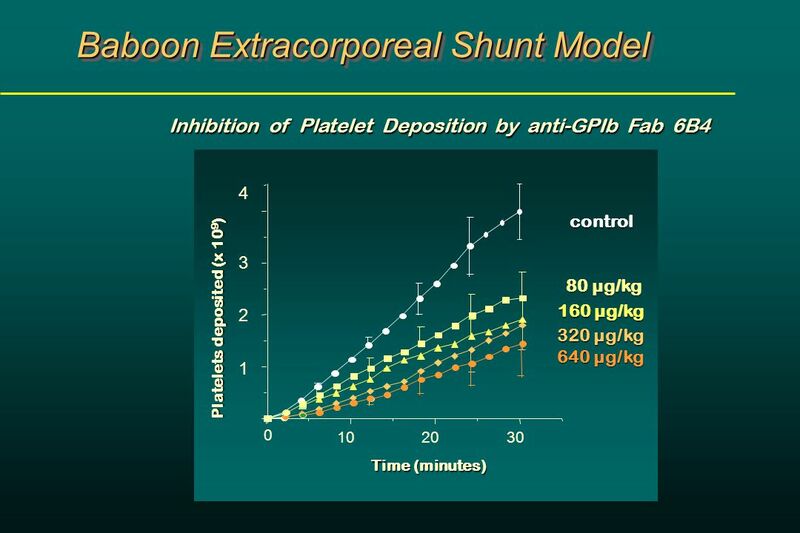 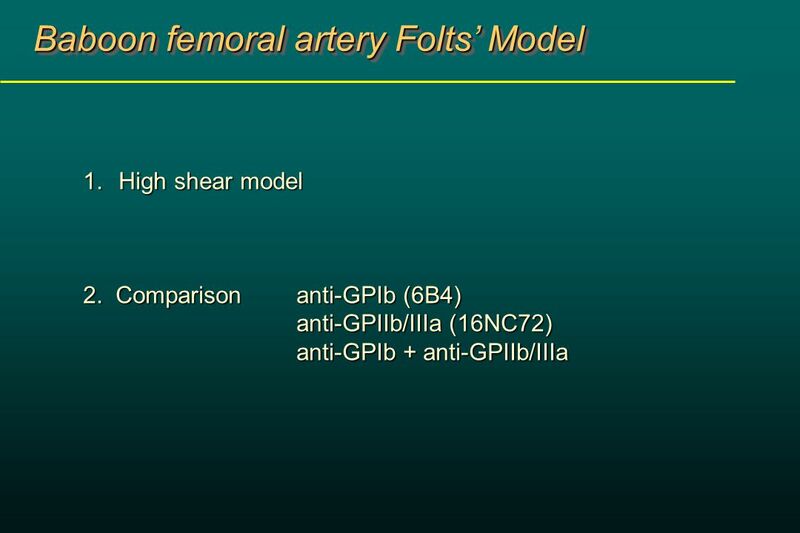 Coagulation Just the basics.... Three steps Vasoconstriction Platelet plug formation Fibrin clot formation. 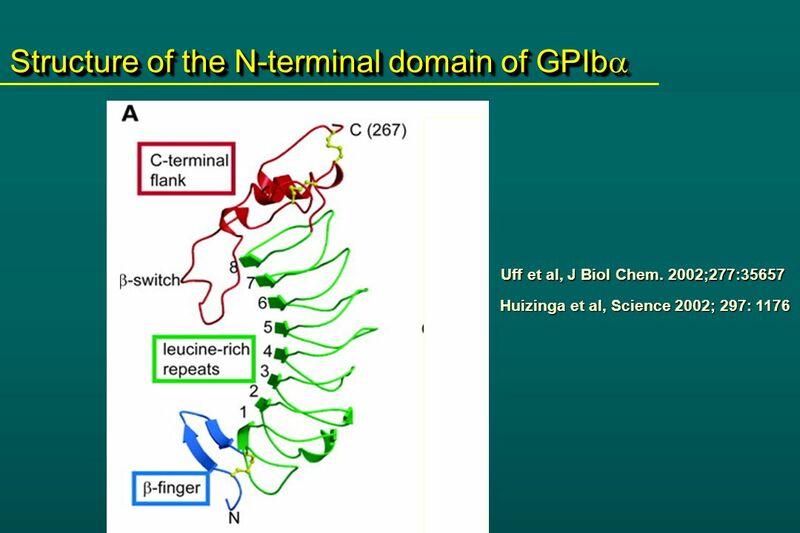 Review: Amino Acid Side Chains Aliphatic- Ala, Val, Leu, Ile, Gly Polar- Ser, Thr, Cys, Met, [Tyr, Trp] Acidic (and conjugate amide)- Asp, Asn, Glu, Gln. 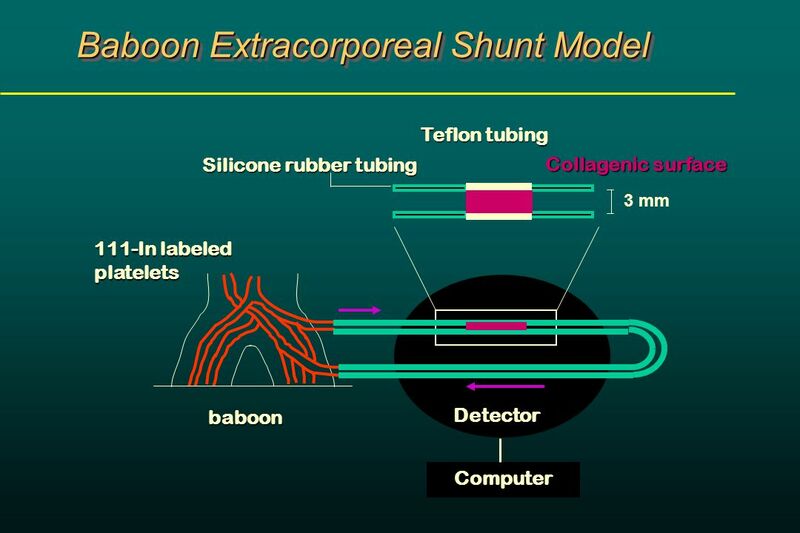 • Exam II Tuesday 5/10 – Bring a scantron with you! 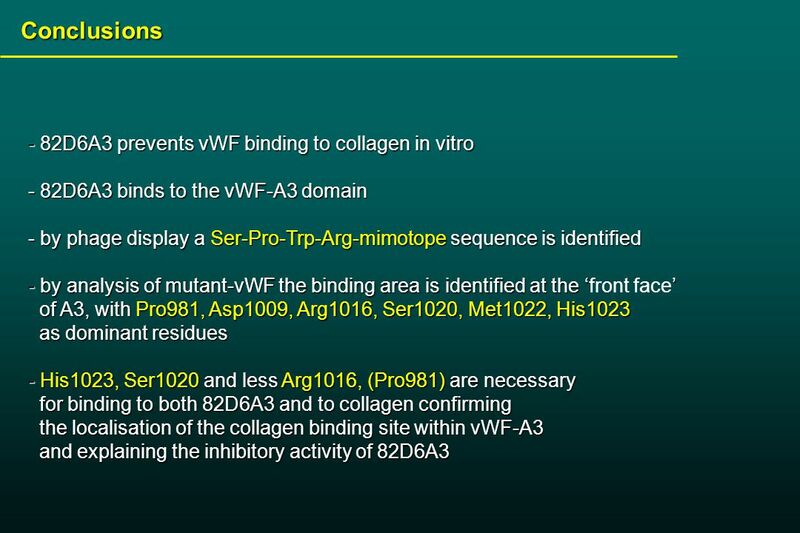 An overview of amino acid structure Topic 2. 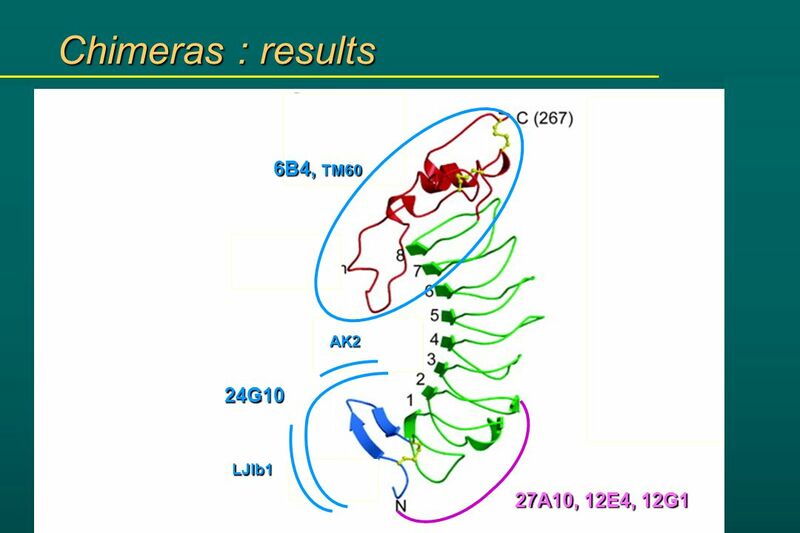 Biomacromolecule A naturally occurring substance of large molecular weight e.g. 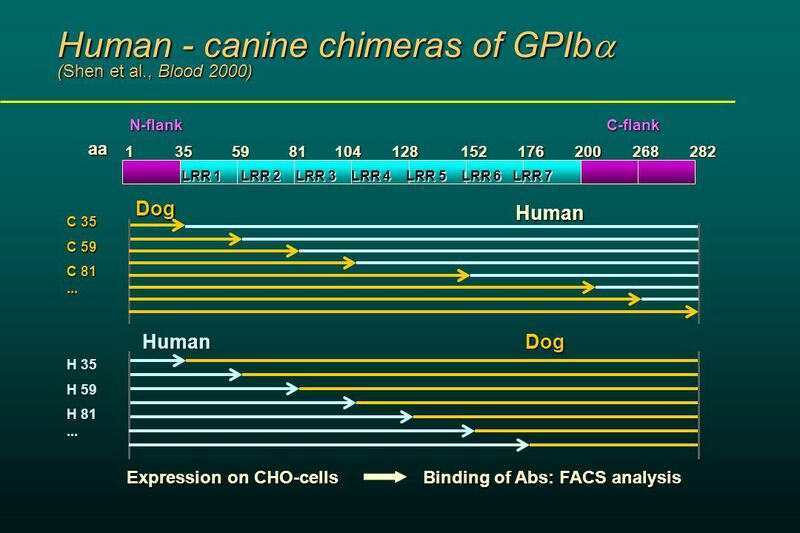 Protein, DNA, lipids etc.